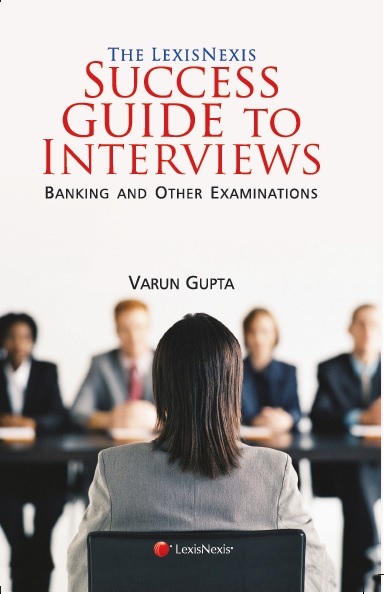 The LexisNexis Success Guide to Interviews—Bank and Other Examinations provides a competitive edge to candidates appearing for bank and other interviews. It is based on actual experience of helping candidates crack many interviews successfully. There are 3 pre-requisites necessary to crack an interview successfully: one, understanding that the interviewers are keen to test your suitability for the job in particular, not your capabilities in general; two, developing the ability to give suitable answers while facing an interview; and three, possessing the right mindset and proper body language. This book covers all the three areas in sufficient detail. This guide also includes 111 important questions asked in interviews and tips on how to answer them. Students will find it interesting, insightful and suitable to their needs.